According to author Louise L hay, who gave the world books like ‘You can heal your Life’ and ‘Heal your body,’ the skin represents our individuality. Skin problems arise when we are feeling insecure, when we feel that others have a power over us. I was a carefree teenager. I never bothered about anything except books and good food. I did not have any pimples then and I haven’t suffered from pimple problem till now. I am blessed with a clear skin, though my skin shade is on the darker side. I was not ashamed of my skin tone and did not try using creams to improve my complexion. I feel pimples also result from the improper use of creams and make up. According to beauty experts, before applying any cream we have to check whether it suits our skin type. In addition, before going to bed, we have to remove all the traces of makeup and should go to bed with a clean skin with just a night cream to sooth the skin. A good cleanser comes handy then. Application of various medicines to reduce the pimples is another bad thing we can do to ourselves. Most of these medicines have side effects and in the event of pregnancy, some medicines even affect the fetus. One of my cousins was advised by her gynecologist to stop using the medicine for pimple while she was trying to get pregnant. According to Ayurveda, our own life science, Neem leaves combine antiseptic, antiviral, antifungal, astringent, antioxidant and anti-inflammatory properties to create a holistic remedy against acne and pimples. Because of these properties, Neem is an ingredient in many beauty products. I remember when I was asked to use a paste of Neem leaves and turmeric when I was taking my first regular bath after being affected with chicken pox. Neem leaves are used to treat many skin diseases too. And Acne is one among them. I have used Garnier Pure Active neem face wash and found it be having a refreshing cleansing affect and it doesn’t leave the skin dry and stretchy. ‘Cleanse-Tone-Moisturize’ is my beauty regime and I use a cleanser, which suits my skin type. If we take care to be at peace with our skin, most of the skin problems disappear soon. Drinking plenty of water and eating fresh fruits is another sure step towards cleaner skin. Let us not allow an Acne to bring us insecurity, depression or socio-phobia. Beauty is never skin-deep. Most of the people are caught up in their own problems and doesn’t have time to bother about your pimple. Just go out and face the world with a smile. A smile straightens many curves. When given a choice to choose between ASUS EeeBook X205TA and ASUS All In One PC ET2040, it is so difficult to choose. Both are literally a boon to one as the features are so excellent. But the Ultra-Portable and Perpetually connected ASUS All In One PC ET2040 wins when I research about it. The portability feature is a boon as I don’t like being cooped up in one place for long. I sometimes work from my bedroom side table, my dining table or the living room coffee table according to my mood. I am a writer and I work from home, the ASUS EeeBook X205TA so isn’t such an asset as its storage capacity is just 32 GB which is very low in any circumstance. We can increase the storage by using external storage but still it is a bother. The ASUS All In One PC ET2040 but has 2GB on board memory and 500GB SATA hard drive. It is ideal in every sense. I spend so many hours’ online browsing page after page, researching for the things I am writing about, learning a new skill, or even searching for recipes online to experiment with next time. I have the internet to thank for most of the skills that I have learned, be it crocheting, painting or portraiture. Grammar lessons, tips on writing and inspirational videos are something that I always need. I require continuous connectivity which the ASUS All In One PC ET2040 gives. Just look at the connectivity of ASUS All In One PC ET2040. It has three USB port which is compatible with all USB devices and hence can charge my smart phone, tablet and also will be able to transfer data between devices faster than ever. I can even connect it with an HDTV. Another amazing feature of ASUS All In One PC ET2040 is the innovative gesture control which helps me to play videos, songs, adjust player settings, zoom or rotate photos all from a distance! I don’t have to touch the screen, keyboard or mouse. Wonderful, isn’t it? Another feature which wins hands down is the built-in backup power that ASUS All In One PC ET2040 provides in the event of a sudden power outage. It gives an extra one hour of backup power to enable us to complete the work, save the files and make sure that we have not messed up the things. In my case, this is a must have as hours and hours of hard work can be lost in case of files getting corrupted due to a sudden power outage. Another important feature that makes it an asset is that it is incredibly fast and responsive. The high quality graphics is a treat to the eye and make the streaming of HD videos smooth and stutter free. The space saving design is also one that makes it suitable to any household or office. Aren’t we all running out of spaces? It helps to give a clutter free look to wherever it is kept. So ASUS All In One PC ET2040 is my choice. It is a truth universally accepted that love is one of the most enchanting and encompassing emotions known to humanity. It is the most powerful and humbling emotion at the same time. But sadly, unrequited love is the worst sort of poison. The love if not returned starts devouring the very soul that had allowed the fire of love to kindle within it. 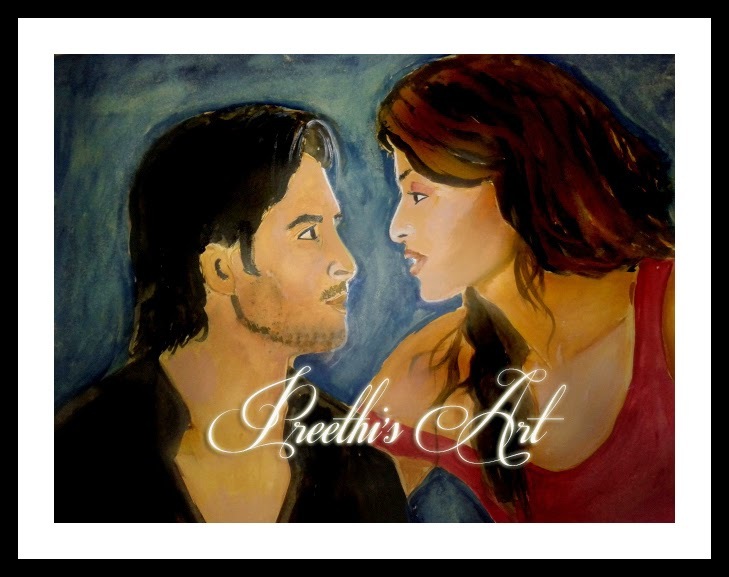 That was the dread that was plaguing me from the moment I realized that I was in love with my best friend Aryan. Now I lived every moment in the fear that I would lose my best friend if I proposed to him. What would happen if he stopped talking to me after I confess my love? Would he never talk to me again? But circumstances suddenly changed. Days before a new girl, Riya joined office and she bowled over all men with her beauty. And to my horror, she was throwing herself at my man in particular. How disgusting! Luckily, Aryan was ignoring her advances. I saw him rolling his eyes and nodding in disgust when she moved away. Thank God, he was not as mule-headed like the other men in office. Though he showed enough signs that he liked me, he had not told me so in words. And I didn’t want to wait. I couldn’t afford to do that. Valentine’s day was approaching and I decided to be bold enough and propose to him. After browsing for innovative was to propose, I found a website http://cupidgames.closeup.in/ where there were couples proposing in innovative ways. With the help of my few trusted colleagues, I devised a plan. 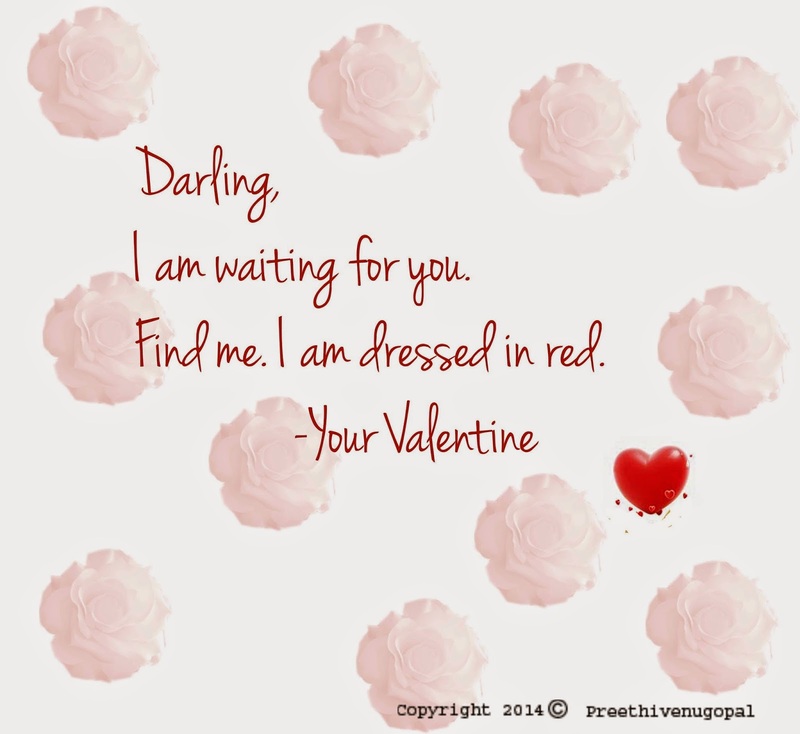 The first was a message, informing him that his valentine waited for him at his office. It was delivered by the driver of our office cab who did not know who was the messenger. The message said that I was dressed in red. As my plan had involved all my lady colleagues except Ria, all were dressed in Red. I was amused seeing the frown on Aryan’s face when he saw all women dressed in red. When he looked at me, a certain warmth appeared in his eyes. Or was it just my imagination? 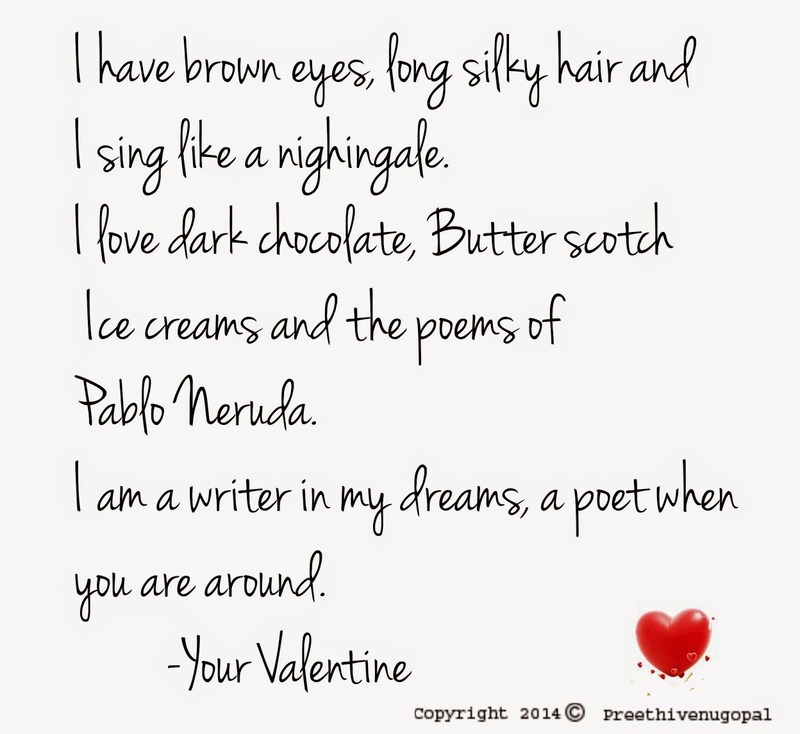 The second message was an email from a newly created email id by me, which gave hints as to who his valentine was with a clear description of my features and likes. Priya , the girl who occupied the cabin next to mine told me he was looking in my direction. My heart began to thud hard. 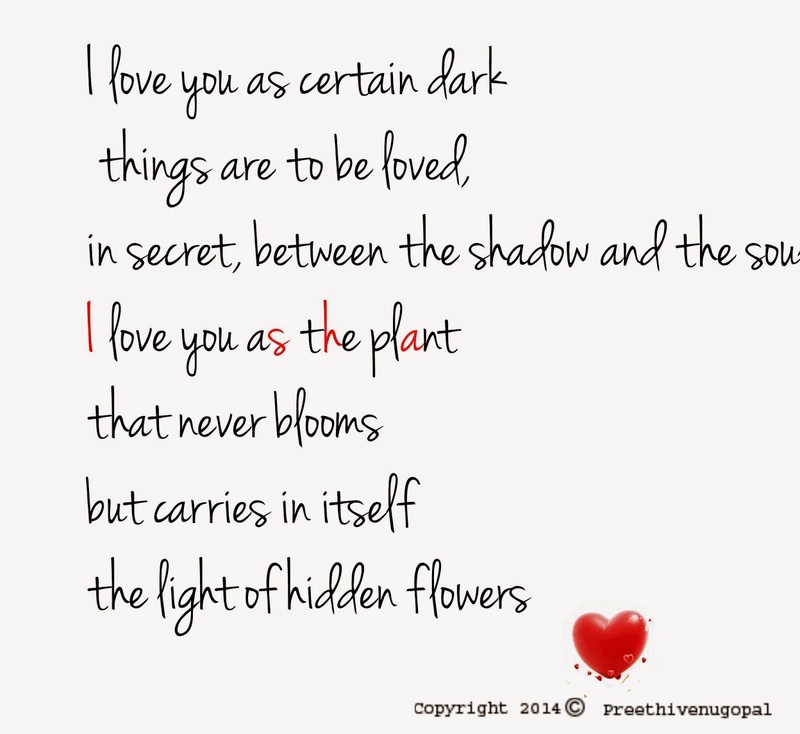 The third and final message was a large bouquet of red roses, which held a card with a love poem by Pablo Neruda. Letters written in red formed my name. Immediately after reading it, Aryan stood up, his face was red with rage and I feared I would die when he began walking with that same furious expression towards me. My heart threatened to run out of my body. Once near, his expression suddenly changed, he winked and laughed heartily seeing the fear in my face. Did I say he had a grin that was capable of killing me? I began to tremble with happiness, when he sank on one knee in front of me. “Darling, you just told me the things that I was yearning to hear, the words that gave a meaning to my life. I love you the way the waves love the land, the moon love the sky and the sun loves earth. I want to be near you forever. Will you be my forever Valentine, Will you be my wife Isha?” said he, slowly pulling out a sparkling ring from his pocket. When I said yes and he slipped the ring on my fingers, the whole office thundered with applause. Tears of happiness welled in my eyes when he slowly gathered me in a hug. 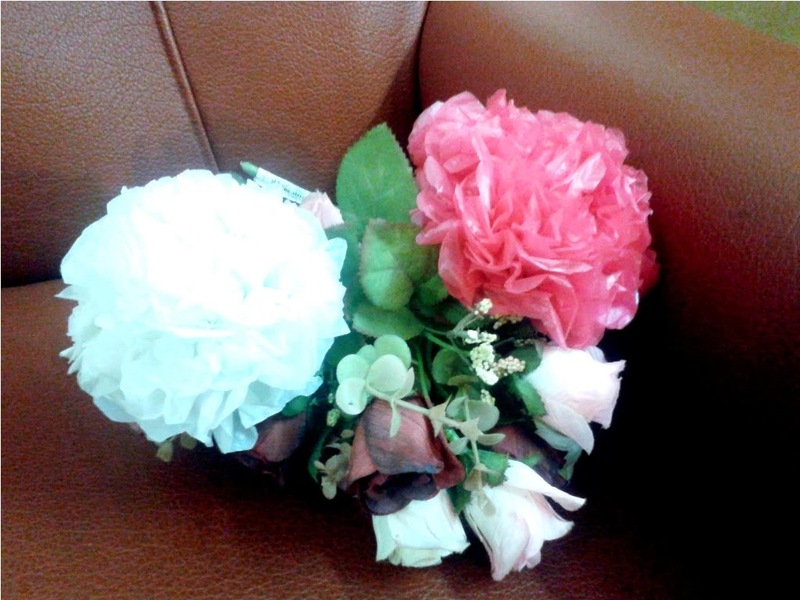 It was the best Valentine Day ever. 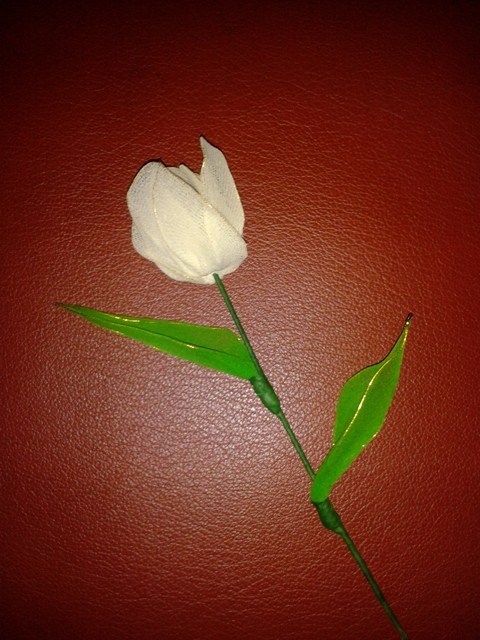 This post is written for Indi Happy hours in association with http://cupidgames.closeup.in/. Is Laundry Only a Womans Job? He sacrifices doing his laundry, cooking and even ironing his clothes. The survey above is simply a reflection of the mentality of Indian men. I have a cousin who left to join work with just three shirts and then returned home loaded with 12 shirts that needed to be washed after two weeks because he didn’t know how to wash or iron his shirt. He had cleverly bought new shirts to replace the dirty ones. I have come to know from my own experience that my husband too belongs to the majority of Indian men mentioned in the statistics and since I work from home, the laundry falls under my household chores. But as it is the washing machine maharaj that does the laundry in my home, I cannot argue much. Loading the machine itself is a tough and tedious jobs for the male of our species. They believe that by marrying us, not only have they given us protection of their mighty name, but also have given us the auspicious job of being their laundry walas for which even the apsaras in heaven had submitted tender. And it is for life time- no retirement, no hassles. When I too was working, if I refused to do his laundry it would kindle a fire akin to the fire of hell and so I would surrender to common sense. It is always better to do a few minutes extra work than to endure days of drama. That was my mantra and of course, the secret to my happy married life. The Indian male expect wives to be the exact replica of their mothers. And most Indian mothers pamper their boys and treat them like fragile china dolls whose entire existence becomes endangered if he washes his own under wear. And the girls are taught right from the age of five to do laundry, to give a helping hand in cooking and all duties that are going to fall into her lot one fine day. When a girl marries, from the moment she becomes a wife, she is expected to transition into an expert cook and a perfect homemaker even if she is equally qualified like her spouse, even if she is working and even if she has not learned any of these things at her own home. I remember being advised by the aunties of the society to learn housekeeping skills instead of spending my time reading books or studying further. "Whatever you do girl, one day you are going to end up in a house washing the dirty under wear of your spouse, just like us.” They had warned me. The prophecy luckily didn’t come true as a genie called Washing Machine had entered our life by then. We handed over all the dirty job to the Machine and to Ariel. But loading the machine after separating the whites from the colored and hand washing the delicates are still my job. There is no cure to laziness of men when it comes to housekeeping work at home. They are the kings of procrastination. 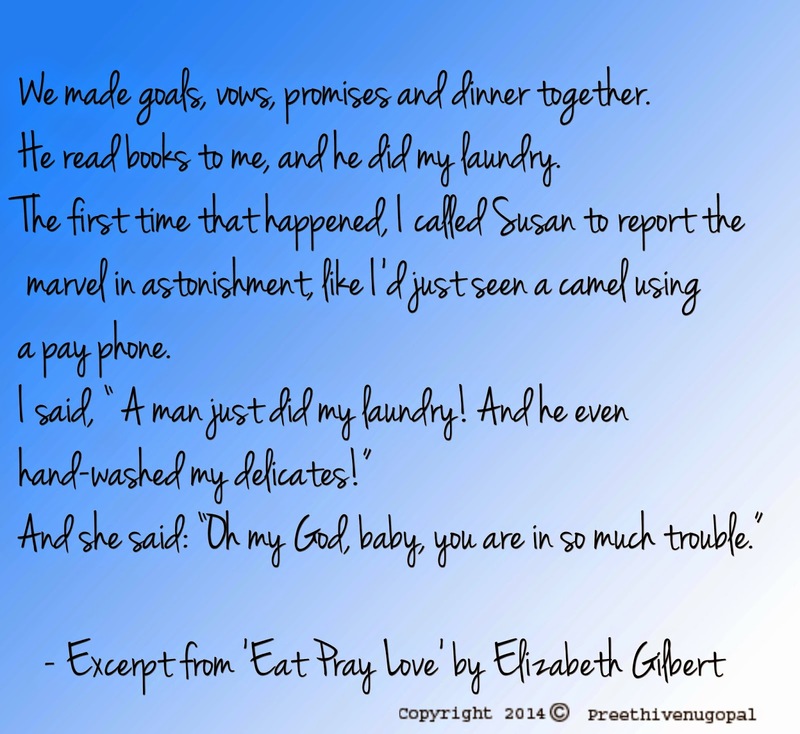 In the famous book ‘Eat, Pray Love’ by Elizabeth Gilbert, Elizabeth calls to inform her girl friend Susan that her new boyfriend David did her laundry. That proves it, the men are the same everywhere. The David mentioned above is a rare creature and is hence coveted by all females, the exact reason why Susan insists that Elizabeth is in so much trouble! Dear Men out there, can you be Davids at least once in a while? There are many things that I am passionate about, be it books, craft, baking, cooking, friends, family or art. I am always on the lookout for new things to learn. My friend who is a horoscope expert tells me it is all written in the stars. He tells me my birth star represents searching for knowledge and hence I will be a student throughout my life. I like multi tasking which I think is an inherent power in every female. We juggle career, family and passion with ease. Nature has conditioned us that way through the centuries. 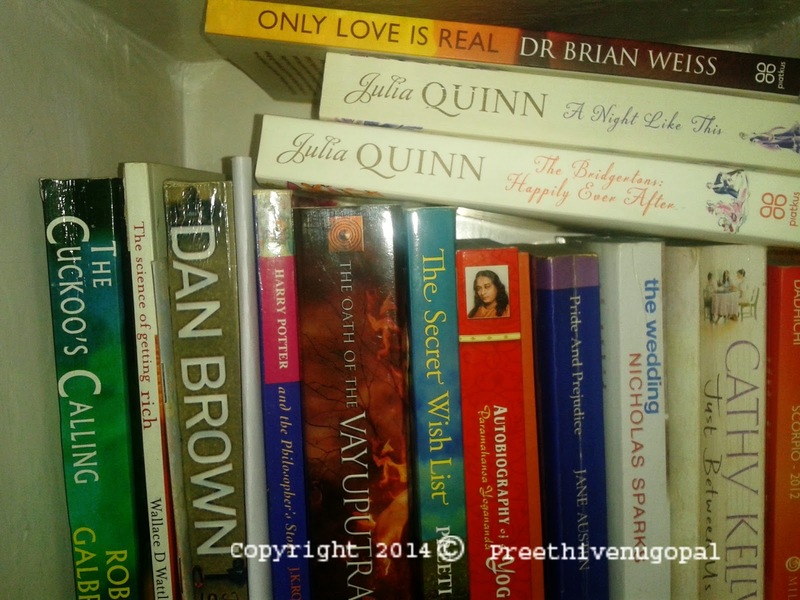 I love books and have been a bibliophile from the time I learnt reading. I have literally lost count of the number of books I have read. It is often half way through some old classics that I realize that ‘Oh I have read this before.’ And yes, some books I read and re-read again and again. Like Pride and Prejudice or Jane Eyre or the Harry Potter series. At any given time, I will have a minimum of three or four books that are in various stages of completion on my night table. I leave off reading a book when it digresses or stop pushing me forward to read, pick another one and then later return to it. I have been good in arts and crafts right from school days. I still create stuff during my free hours. I crochet and create stuff out of waste. See some of my creations in these tutorials. 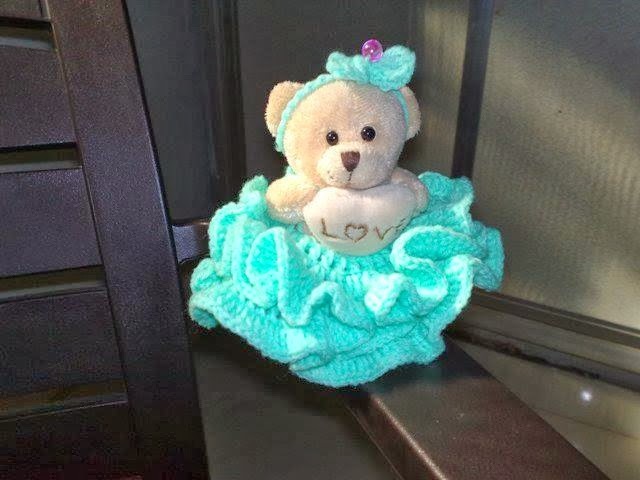 I do quilling and amigurumi crochet, which is the art of creating three-dimensional stuffed toys using crochet. 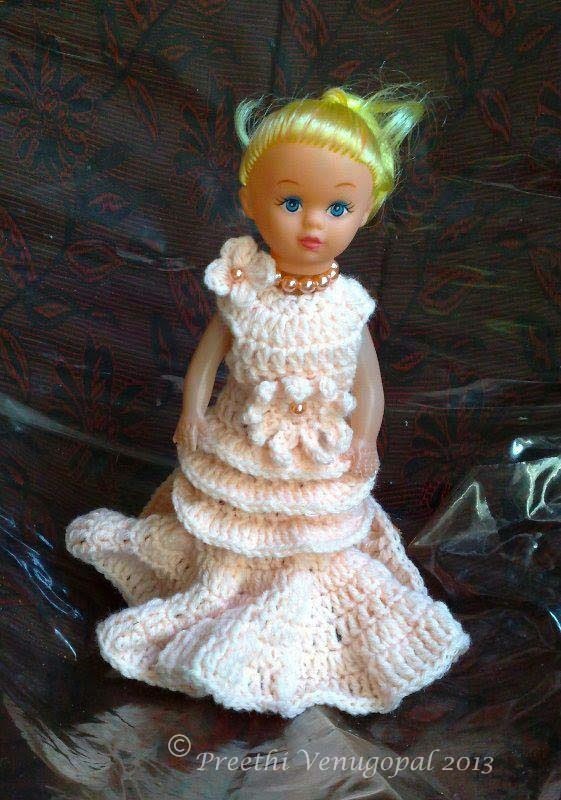 I love creating dresses for dolls using crochet and machine stitching and my showcase is stuffed with them. I give away them to kids as gifts too. I am passionate about art and I often present portraits of friends as their birthday gift. 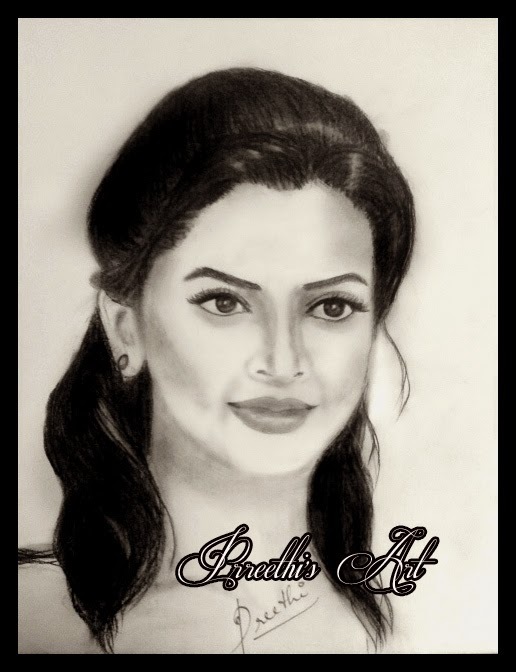 Here is a portrait I have created of Deepika Padukone. 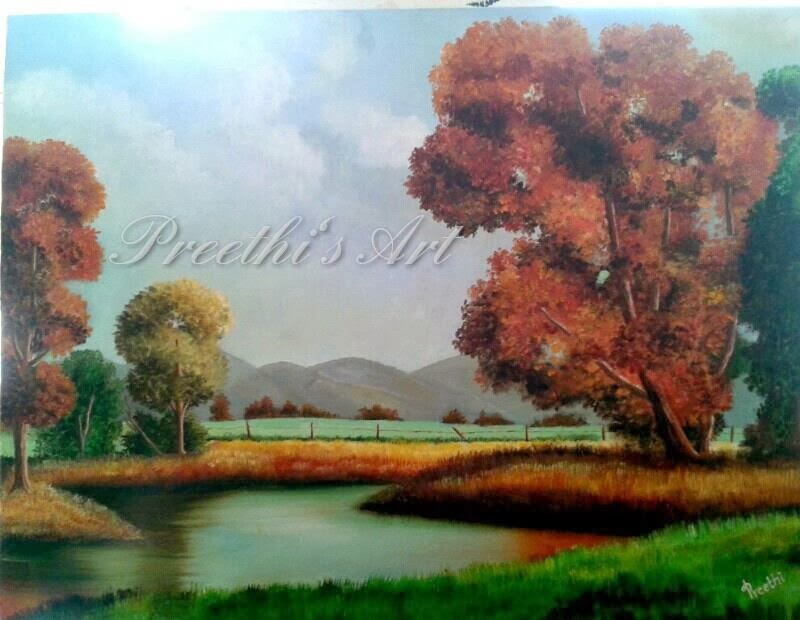 I also create acrylic, oil and watercolour paintings. Here are some of my creations. I am passionate about writing and I have written many stories until now for the various contests and many have won or been appreciated. Check my stories in the fiction area of this blog. My stories have been published in The Second Life Anthology and in Blank Space, which would be out this month. Another two anthologies are in the various stages of publishing. My full-length novel will also be out soon. 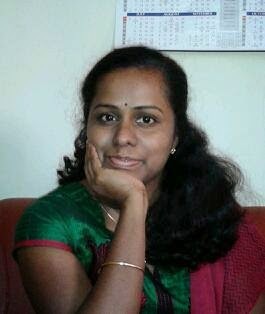 I have contributed articles to womensweb magazine. I love cooking and my kitchen is my lab where I experiment with various cuisines and dishes. 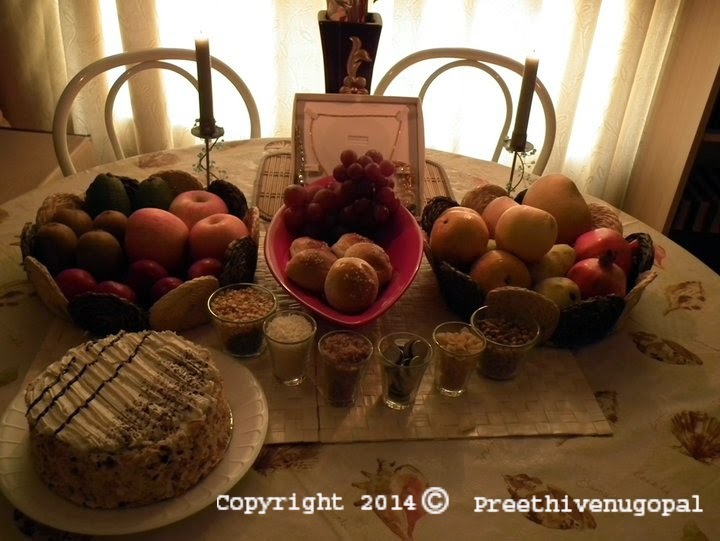 I bake cakes and puddings, which is always a must-have during joyful events. I am a good friend and mentor to my friends and the makes my world a better place just being a part of it. I dot on my husband and son and when my son tells me I am the best mother in the world, I feel I have won an Oscar. To elicit a similar comment from my husband is pretty hard. I am a strict wife according to him. Yes...that I am. I am a certified Reiki healer and I do Reiki meditation daily to keep myself active and peaceful. I believe in a higher power that guides us, I believe in guardian angels and keep a angel oracle card deck handy to consult during moments of indecision. I am learning Tarot card reading too. Photography and photoshop are two other passions. Most of the photos used in my blog are taken by me. The header design of my blog is also my creation. These are the multitude of things that make me the person who I am. They define me and allow me to grow as a person. For most women, priorities guide them in all of their decision-making hours, especially after she gets married and more so after becoming a mother. Like many mothers, I too faced the dilemma of choosing a career over family. 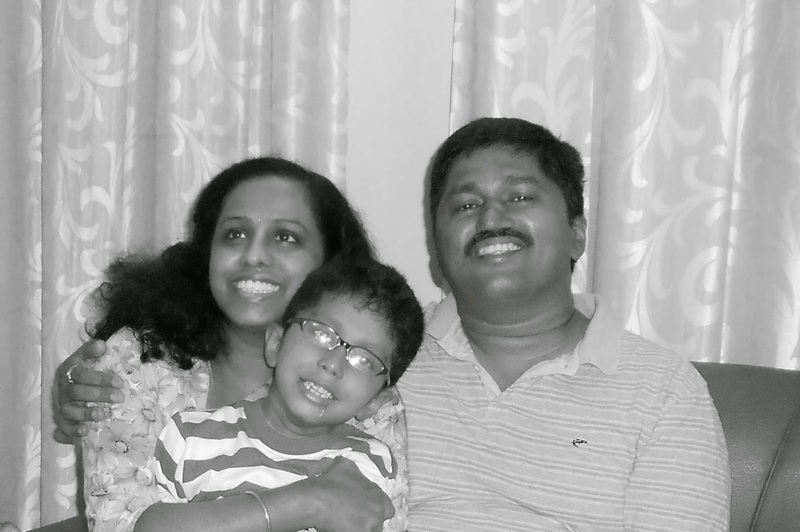 I was reluctant to leave my little one in the care of a stranger and return back to work. I had seen in person, the kind of work a hired hand does and I was selfish enough to want the best for my little one. No hired hand can ever replace the love and care of a mother. I am a Civil Engineer, my work hours tend to be erratic and if I joined work, I cannot return home before eight in the evening and might have to leave before eight in the morning. I enjoyed my work but I could not choose it as the work hours made it impossible to take care of my child. So without much ado I left my job. I had to choose either career or family. But the endless hours of running behind my little one and household chores took a toll on me and I began to feel depressed and I took up hobbies. I learnt embroidery, crochet, painting and portraiture. All through the way I used to journal about my day and hence thought about starting a blog. Once I started blogging, I participated in story contests organized by Blogadda in association with Gillette and this awakened the writer in me. I had won prizes for story writing while in college and this new platform gave me exposure and appreciation from fellow bloggers and friends. That was the beginning. I began to get content writing works and I became a freelancer. 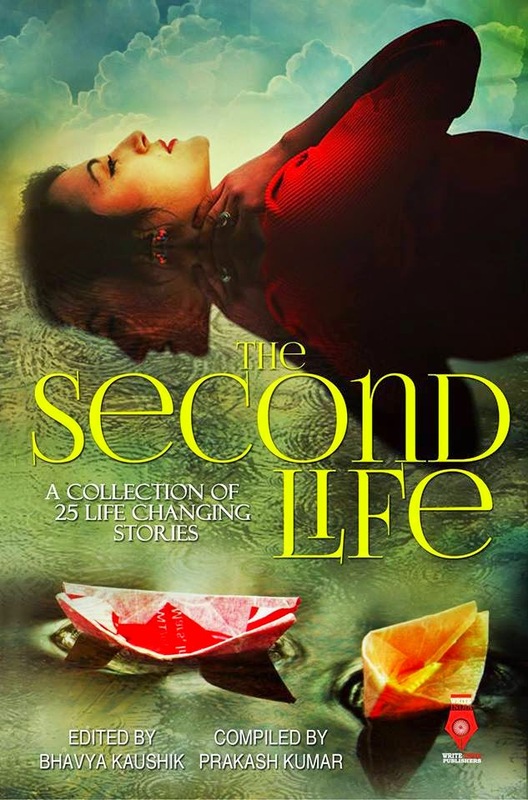 A contest conducted by Write India publishers made me a published author when my short story was selected to be published in the anthology ‘The Second Life’. Being a grammar Nazi, one of my friends insisted that I edit the anthology that he was putting together of which I was already a part and I ended up being the editor of Blank Space. It has 100 stories written by 100 authors. 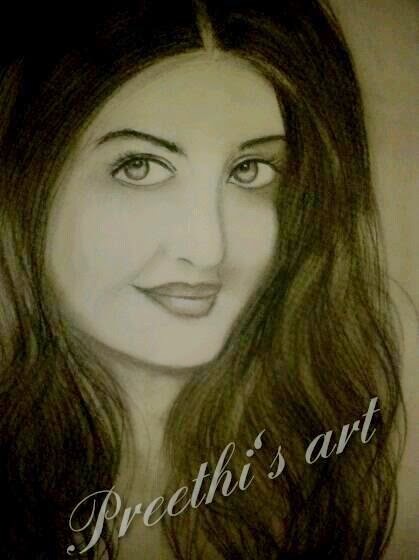 It was a tedious work but I learnt a lot from that experience. Now I have my own solo novel in the process of being published, two more anthologies in the making and editing works flowing to my desk. I am passionate about my work and as I work from home, I have enough time to take care of my family too. Now I am a professional editor, an author, a wife and a mother. I am proud of my journey and my family is proud of me. My journey from OR had ended in AND. Yesterday had dawned like any other weekday. Morning tantrums from my six year old who assured me that he needed at least another hour of sleep to get his energy back, coercing him to eat, getting him ready and sighing in relief after watching him go to school. His school is at a distance of eight kilometers from my place. As the school bus is often crowded, we prefer to drop him ourselves to school. My husband drops him at school on his way to office and I pick him up in the afternoon. As I am not an expert in driving through the unruly traffic of Bangalore, I prefer to travel by auto rickshaw. While I was getting ready to go and pick him up from school, our apartment security came to inform us that water would not be available from twelve to two o’ clock owing to the cleaning works going on. I stored up water but didn’t have time to finish cooking lunch. The lazy ‘me’, rejoiced at the chance and I decided to enjoy a lunch outing with my son at our favorite restaurant. Trust me, I never let go of such golden opportunities. We took an auto from the lane near the school. My son was excited as at the restaurant he got two scoops of ice cream always. He didn’t know that they charged almost six times more than the lowly ice cream from our local ice cream vendor. In the excitement of eating ice cream, getting down from the auto, he began to rush off towards the restaurant and I hurried along. We had a sumptuous lunch relaxing in the cool interior of the hotel and after paying our bill when I got up, two things struck me at once. One, with that amount of money, I could have bought minimum three best-sellers from Indian authors. Two, something was missing… *groan*… my son’s school bag. I asked my grey cells to work and remembered that he had kept it in the back of our seat in the auto. Usually I keep it on my lap. It was surely lost now, gone, perhaps, forever. All now depended on tracing the auto rickshaw. Though it seemed like a futile attempt, I went back to the school premises and talked with the regular auto drivers there in my best Kannada. They told me in their best English that –“No-madam...he no here,” after I described his looks. kum as well. His hair was long and was tied into a pony at his nape. If not for his smiling and calm disposition, he could have played a villain in a sandalwood movie. I had given up all hopes of getting the bag back when at 9.30, the auto driver called on my husband’s mobile. He had got the number from the school diary that was inside the bag. As my son had deposited the bag on the back of the seat, he had not seen it until then. My husband asked where he stayed and he said he was from Peenya, a good 20 km distance from our place. He assured my husband that he would bring it next morning at 8.30 near the school premises. As promised, today morning, he drove all the way from Peenya to JP Nagar to return the bag. He refused to charge any money and then on my husband’s insistence, asked us to give some change. The meter charge for the distance travelled itself would have been more than 250 rupees. But we made him accept 500 Rs, which he was reluctant to take, as he had braved the rush hour morning traffic just to come all the way to return the bag. Thank you unknown auto driver, we forgot to even ask your name in the morning rush. If he had just disposed off the bag, we would have been in big trouble. The school term was near the end and to get the textbooks and notebooks ready for the annual assessment would have been tiring and an almost uphill task. As one of my friends commented on my status about it on Facebook, I had indeed experienced the glimpse of a living God. Such good acts without expecting anything in return is what brings us closer to the divine. This particular incident also convinced me that belief in positivity is beneficial. We do attract the things that we experience in life. I have heard many friends complaining about auto drivers. 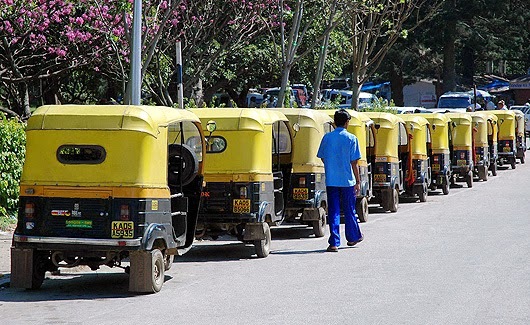 To tell the truth, an auto is my favorite mode of transport in Bangalore and I have come across only good auto wallas here. We often forget that they are service providers and instead treat them like scum, cheaters and haggle for hours to save a few rupees. We would not mind spending thrice the usual amount on popcorn at a multiplex or on food while eating out at our favorite restaurant. If we are stranded at a place and an auto wala comes there then, instead of being grateful for their help, we shout at them once we reach our destination, haggling for a single rupee. They are making a living just like you. Be considerate. We often forget to look at the bigger picture and become the worst sort of individuals. What goes always comes around. It is often little acts of kindness, which bring sunshine into our world. I know the story of a Good girl who was the apple of the eye for everyone around her. She studied well, spoke the correct words; she did the right things and was always correct. In her youth, she fell in love with a boy who loved her back equally. Good girls were not supposed to fall in love. She ordered her stubborn heart to behave. She obeyed her parents to the T, as she was a Good girl and married the guy they chose for her. Her parents’ choice was certainly not the one for her. He abused her physically and mentally. She clung to the marriage desperately. Good girls always had a happy marriage, didn’t they? She left her career to look after the many kids that were born in the loveless marriage, where she couldn’t help being raped daily by the man she had married. Good girls obeyed their spouse, didn’t they? Good girls chose family over career, didn’t they? She couldn’t leave him as many of her friends advised her to do. She was a Good girl. And divorce was not a thing a Good girl did. Her in-laws and relatives made her their slave, made her toil daily by asking her help in finishing their chores. She cleaned for them, baked for them, baby sat their kids and even looked after them like a nurse, sacrificing her own free time. She couldn’t refuse anyone. She was a Good girl, wasn’t she? Daily she died a little, daily she ate the poison of regret and guilt. 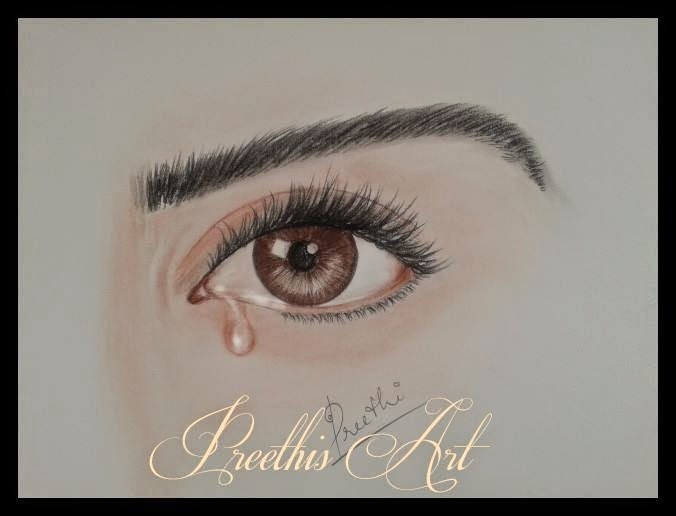 Very soon, she fell into deep depression and was on the verge of a suicide when her friend came into her life like an angel. Her friend told her that to be selfish for her own good was not bad. It was the only thing that had the power to bring her happiness. She taught her to be assertive, to fight for her life and rights. Most importantly, she taught her to listen to her heart. She taught her to start loving herself and let go of all regrets and guilt. It was as if a veil had fallen off. The Good girl realized that in fact she was not being good at all. Doing all the things that the society had professed as good was in fact becoming someone’s doormat. She had forgotten to live, seeking to look good in the eyes of people she didn’t even care about. In the meanwhile, she had squashed her dreams, her career and even love. She understood that she needn’t do anything unless she really wanted to do it. She decided to follow the messages of her heart. First, she quit her abusive marriage and resurrected her career. Her kids loved her and supported her endeavors. Soon she was able to live a happy and satisfied life. Now tell me, was she not a Good girl anymore? I believe that she had become the true Good Girl only then. I know there are many such Good girls among us who have forgotten to live. May be you know one or you yourself is one. Open your eyes and look around. Ask yourself whether you want to be that Good girl! Remind that girl, who walks in the shadows to hide her tears, to be not that Good girl. Give her wings to fly!